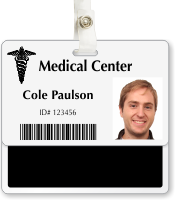 Fully-laminated Doctor ID Card fits neatly underneath ID badges, making the job title visible to everyone. • Badge Buddy fits behind a standard horizontal slotted ID badge.  • Medical Identity Card is fully laminated, slotted, and ready for immediate use. They use the same clip as your badge.